Get ready, ladies — Prince Harry is about to head across the pond. According to Today, the unmarried royal is planning a visit to North America next month that will include stops in Canada and a few U.S. cities. He’ll also be attending several public events, so here’s your chance to meet and woo Kate Middleton’s brother-in-law. 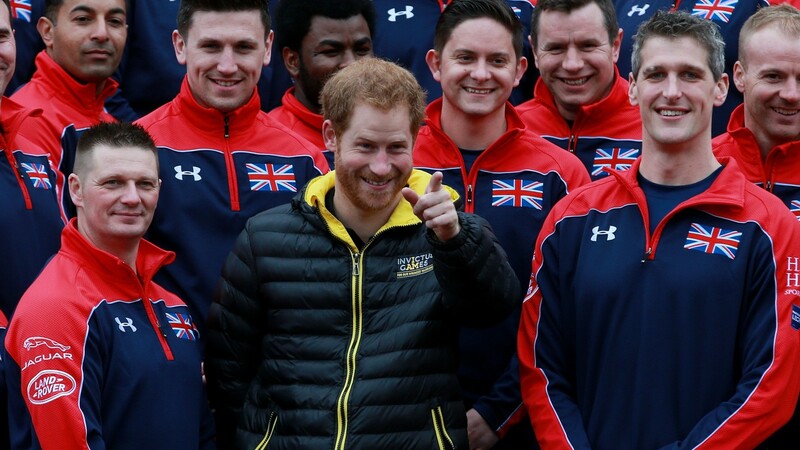 Harry’s first stop will be in Toronto, Canada, on May 2, where he’ll launch the third Invictus Games, a Paralympics type of sporting event for wounded veterans, hosted by Toronto for 2017. After that, he heads to the U.S., making his next stop in Wellington, Florida, where he’ll play in a charity polo match benefiting Sentebale, a charity he co-founded in Lesotho that helps improve the quality of life for children living in poor countries with HIV and AIDS. After that, he heads to Orlando, the city hosting the current Invictus Games, to support the events. The games begin May 8, but Today reports that Harry will be arriving in Orlando sometime before then to make sure he has time to meet with the athletes who are competing, and their families. Prince Harry, a military veteran who served two tours in Afghanistan, is the patron of the Invictus Games, which were founded two years ago in London. His North American visit to support the games was announced when he met with Britain’s Invictus Games team at Buckingham Palace. Harry was last in the U.S. in October of last year, when he accompanied First Lady Michelle Obama on a visit to Fort Belvoir in Virginia to meet with wounded veterans. Since then, he’s been spending much of his time in Nepal, where he’s been helping to rebuild a school damaged in last year’s massive earthquake.